We at Olson and Baker are committed to providing a truly enjoyable shopping experience whilst ensuring all our pieces embody quality craftsmanship. We pride ourselves on endorsing only the finest manufacturing practices, authentic materials and lasting design. We are proud to only selling authentic, licensed originals. 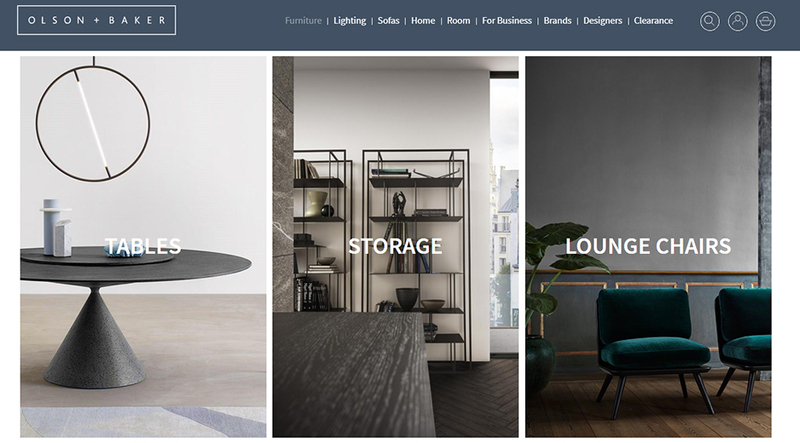 Our portfolio showcases work undertaken by the most respected designers, architects and manufacturers in the world; with our collection of products taking the spotlight in some of the most famous and iconic interiors over the last 100 years. We are continuously looking for the most iconic and up-and-coming designs in the industry, making sure our collection encompasses the core values of modern design.